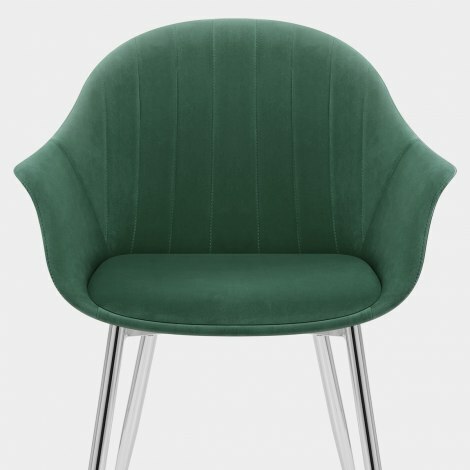 The Flare Dining Chair Green Velvet is a glorious statement piece for a variety of settings around the home. In the dining room, study, or even the living room, the Flare is a bold design with a retro appeal that is sure to stand out from the crowd. 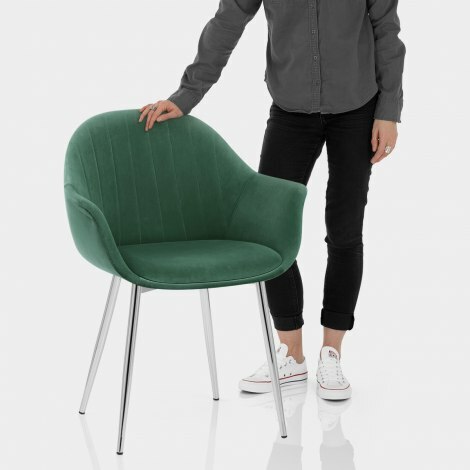 Covered in green velvet upholstery, the padded seat is all encompassing and has supportive armrests that flare outwards for elegance and style. The back is also inlaid with vertical stitching for a touch of finesse. Mirroring its surroundings in modern style, the four-legged frame has a polished chrome finish that is utterly eye-catching. Plus, the tapered design complements the stylised seat, whilst protective floor pads are included underneath.